As our bodies get older we lose a small amount of flexibility as a result of the normal aging processes. This can happen for several reasons including a loss of water in our tissues and spine, increased stiffness in our joints and a loss of elasticity throughout the muscle tendons and surrounding tissue. Decreased flexibility within our body can negatively impact our everyday life by preventing us from functioning normally. For example, it is fairly common for some individuals to decrease their physical activity because they do not feel flexible enough to perform activities they once enjoyed. However, this kind of self-limitation can lead to an even greater loss of function. Our bodies operate under a principle called “Use It or Lose It.” If we don’t use our muscles, we tend to lose their strength. If we lose strength in the muscles we don’t move them as often, which may lead to further decreases in flexibility if they are not taken through their full range of motion to maintain their length. The good news is that we have the ability to slow or reverse some of these changes in our body! We cannot prevent some loss of flexibility, but we have every opportunity to prevent losses of function due to this decrease. The first step toward preventing a loss of flexibility is to keep active! Several problems may result from decreased flexibility: slower walking speed, shorter steps while walking, back pain and increased risk of falls. There is evidence to suggest that a stretching program for the front hip muscles can improve walking speed and step length. This will result in improved walking function and offer greater control, which will decrease your risk of falls due to a lack of balance. Step length is also very important in decreasing your risk of falling. The more distance between your legs while walking (i.e., longer step), the greater balance you can achieve. Therefore, it is important to improve the ability of your legs to take longer steps by maintaining flexibility in the muscles of your legs. 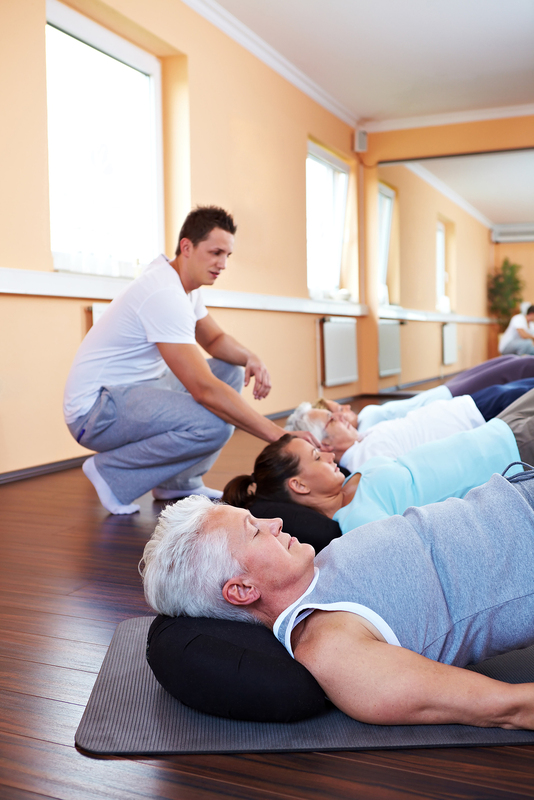 There are many group exercise programs for people of all ages throughout the community. Exercising with others often increases one’s enjoyment of activity and provides motivation to stay active. In addition to decreasing the loss of flexibility, regular physical activity offers many other benefits for your general health, including decreased risk of heart disease and physical disabilities. Want to learn more about improving your balance and muscle flexibility? Speak with your rheumatologist or physical therapist to get started!